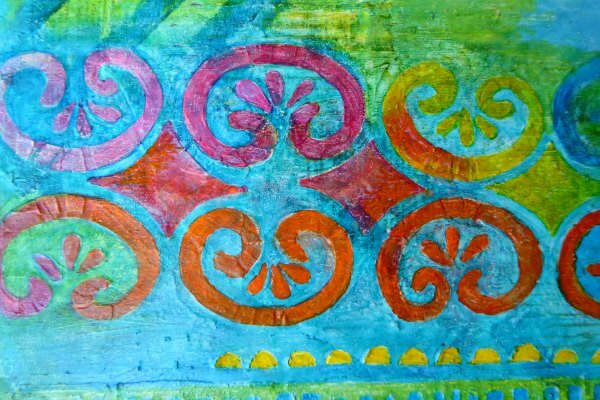 If you love stencils like we love stencils and you love to art journal, it is quite likely you've followed Janet's Daily Column here on StencilGirl Talk. 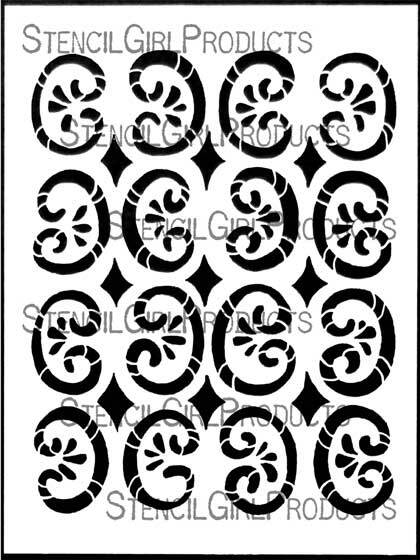 Today, StencilGirl Products is pleased to offer five Curlicue Stencils, designed by Janet Joehlin based on doodles she draws in her daily journal. 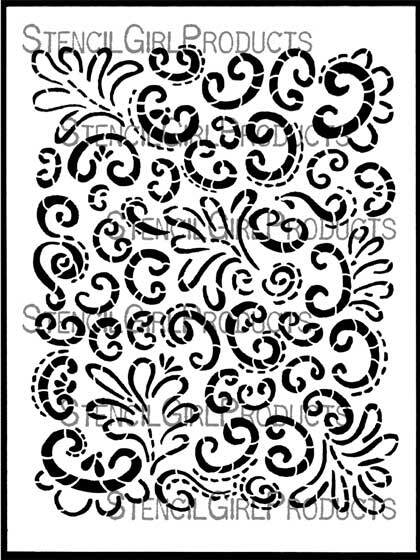 Curlicue Dance, Curlicue Floral, Culicue Daily Border, Curlicue Wide Border, and Curlicue All Over stencils await your art journaling, print making, collage doodling, mixed media art creating pleasure! Thank you! What an honor and a privlege it is to design a set of stencils for StencilGirl! 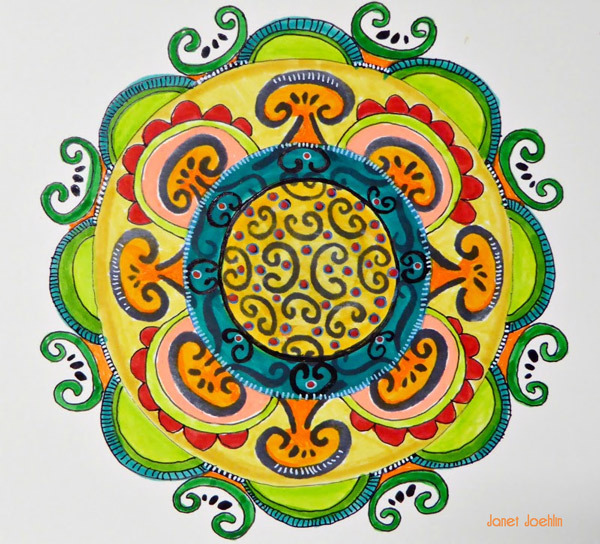 If you follow my artwork you'll know I use certain motifs over and over again. When I visited Italy, I was inspired by all the beautiful architectural elements and of course they found their way into my journals. 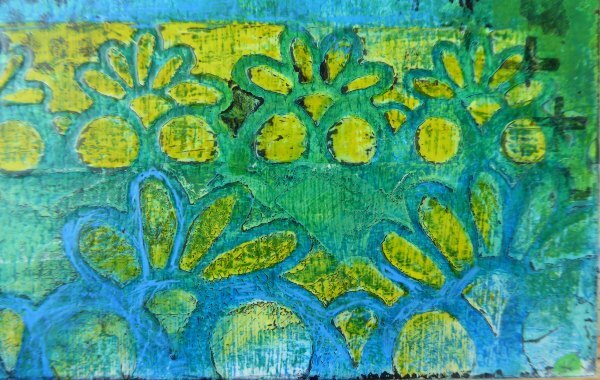 I carved a stamp of my favorite architectural design, the loopy loopy in the Curlicue Wide Border. 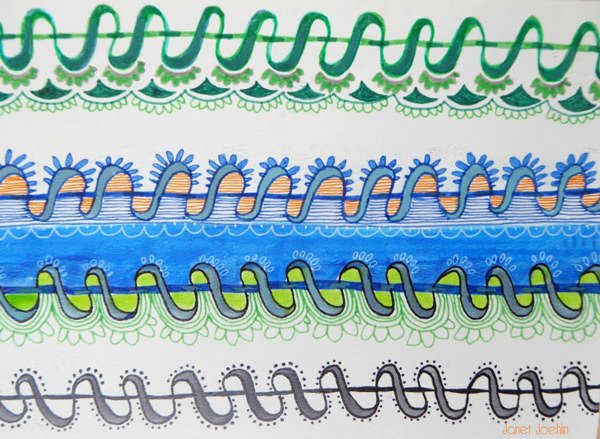 The motifs continued to develop and expand as I kept drawing and doodling. These stencil designs are a result of that. 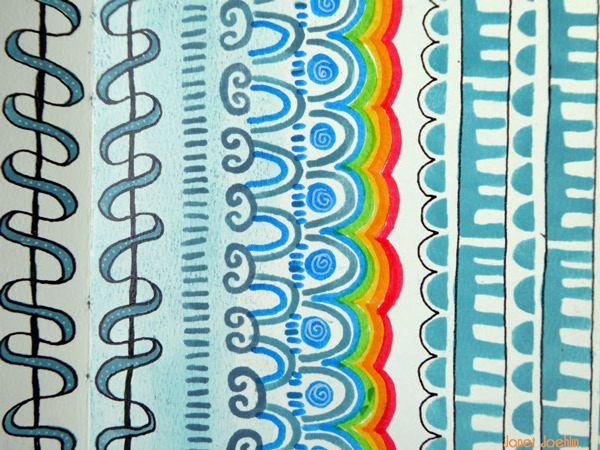 My small art journal cover above was made using acrylics, interference, modeling paste, pens and markers. I recycled old StencilGirl envelopes to make the covers! 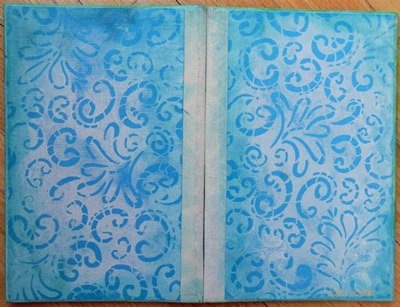 I also used the Medium Damask Stencil, one of my favorites! 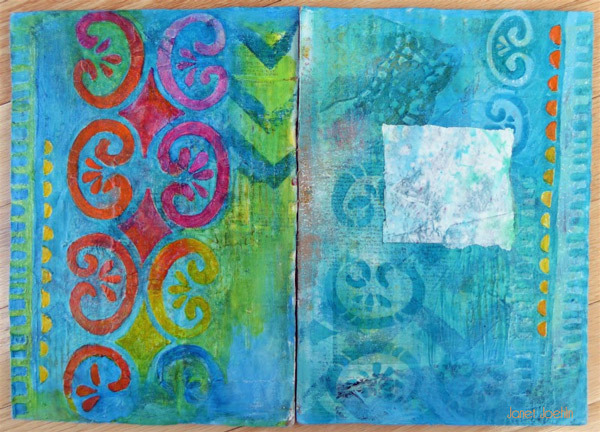 Here are a couple of my Daily spreads using a variety of my stencils. 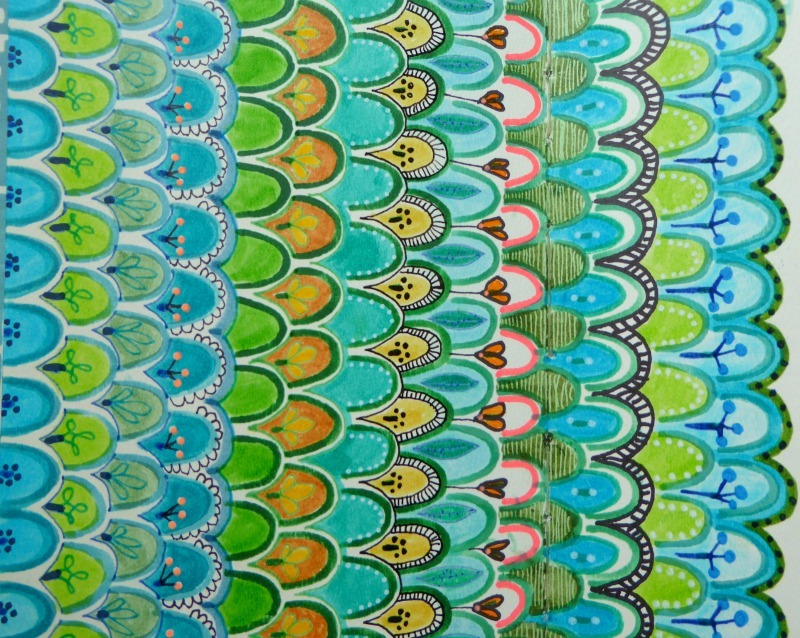 I used gel pens and markers over black gesso on the page above and markers and pens on the spread below. 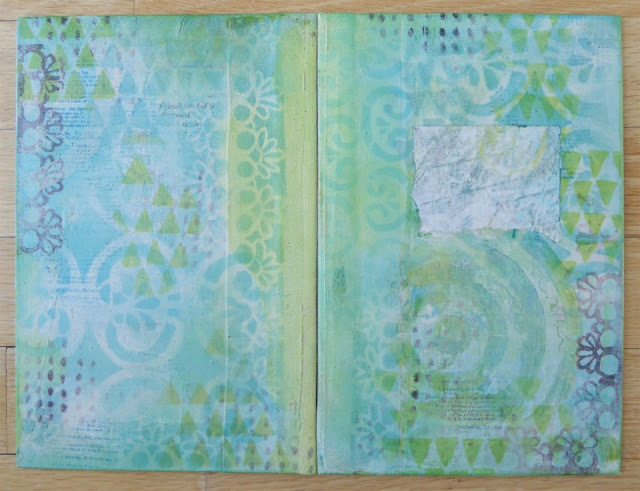 I Love making art journals out of old book covers or recycled cardboard and had a LOT of fun using my new stencils. Acrylics, collage, stamps, pens, and markers all went into the art journal cover below. The inside cover of this same journal is below. 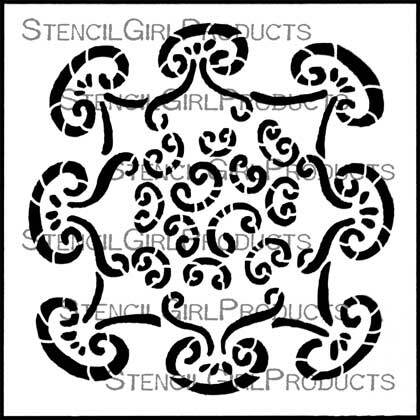 I used my Curlicue Floral stencil with spray paint. Simple and effective. 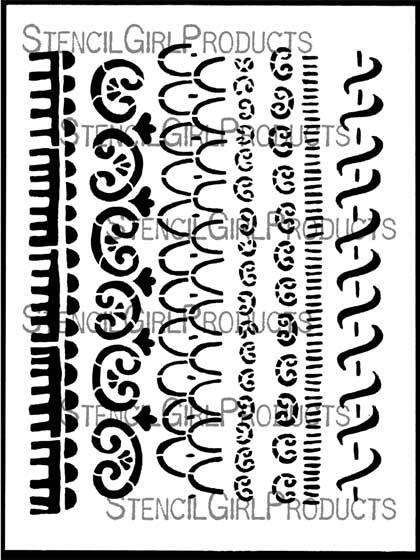 I love this Curlicue Daily Border stencil. I used many pages to practice variations of possibilities! The combinations are endless! 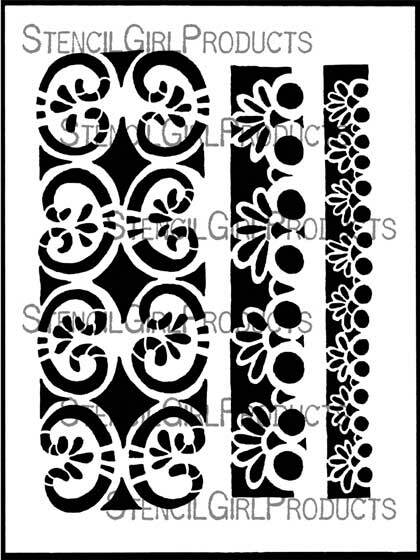 I have used these wide border stencils everywhere! I think this one is my favorite! 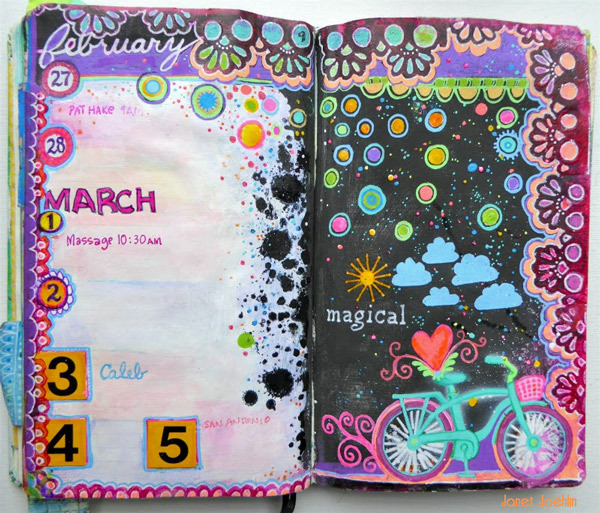 The magic of this planner page? I started with black gesso and neon gel pens, then paints and pens and markers with a little collage thrown in. And some close ups of a couple places I used this stencil. 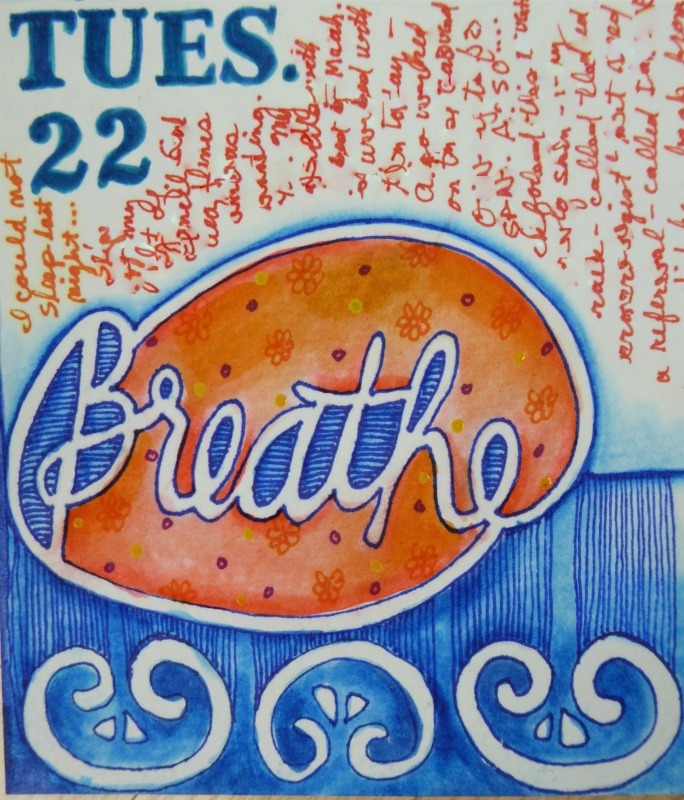 Lots of texture on a future Daily cover using modeling paste and Acrylics, and the Dream On title of one of my art journals. I hope you will have as much fun with these stencils as I am. 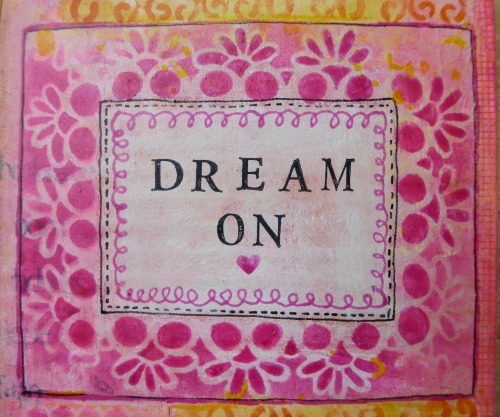 We'll have more of the art Janet made with her stencils in the March 9th Scoop! 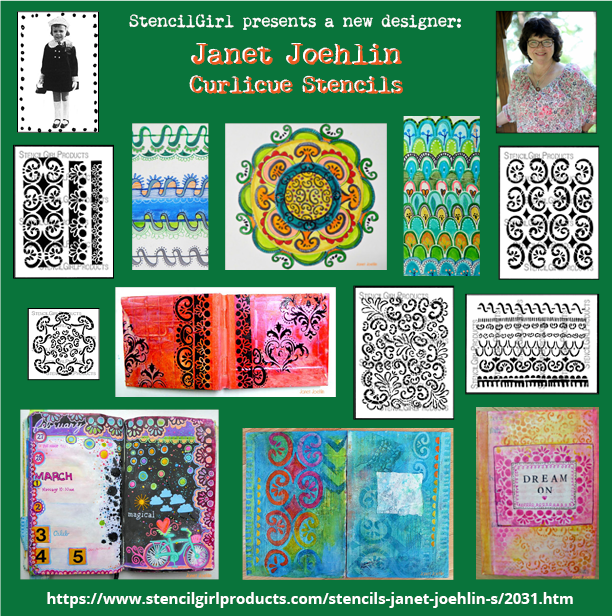 To learn more about Janet, check her out on Instagram or her Happy Reminders blog or her page on StencilGirl Products' website.